On May 1st, San Francisco saw the 2014 CoachArt Children's Benefit, organized in support of their work providing free lessons in the arts and athletics to children with chronic illnesses. Cocktail hour featured live performances by CoachArt children and a silent auction of once-in-a-lifetime experiences and CoachArt children's artwork. The dinner portion of the night was hosted by documentary filmmaker and physician Dr. Ryan McGarry, who brought together members of the CoachArt community, as well as words from honorees Lily Kanter and David Lee, and a special performance by CoachArt student Valerie Mendez and singer/songwriter Leroy Sanchez. 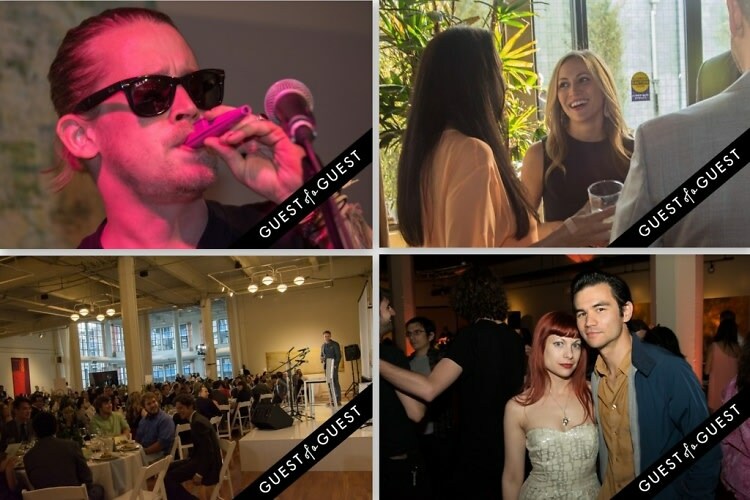 Guests who stayed for the after party were treated to desserts and an open bar, with a performance by Macaulay Culkin's infamous cool kid band, The Pizza Underground. Go HERE for more photos of the event by Alex Shonkoff, and tag yourself and your friends!